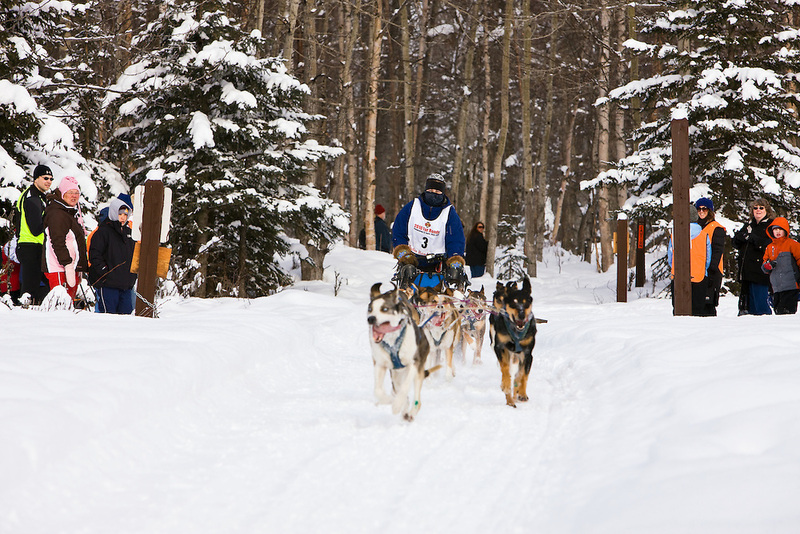 Musher Courtney Moore and sled dogs in the Fur Rendezvous World Sled Dog Championships on the Campbell Creek Trail in Anchorage, Alaska. Southcentral. Afternoon.